Providing Secure Employment and Nurturing Future Generations | With Communities | Stakeholders | Corporate Social Responsibility (CSR) | Akebono Brake Industry Co., Ltd.
To show our appreciation of local communities and to further deepen the understanding of the Akebono Group's business, we proactively undertake initiatives that contribute to society. 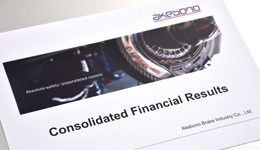 In line with Akebono's Corporate Mission, as members of society, our associates continue to take steps to maintain and expand these initiatives. 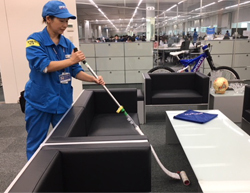 Akebono proactively invites external companies as well as students from local elementary and junior high schools to tour its offices and plants across Japan. 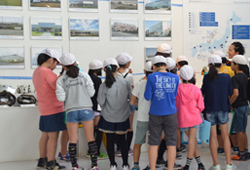 In fiscal 2017, more than 280 students from three elementary schools in Saitama Prefecture visited Ai-City headquarters as part of their social studies tours. 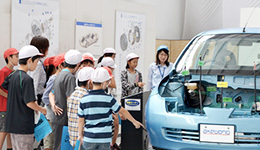 In addition to a briefing on the Company, this visit included an “Ai-Museum” (Brake Museum) tour and observation of the mobile brake technology educational center as well as programs aimed at providing hands-on experience of manufacturing at the Monozukuri Center. 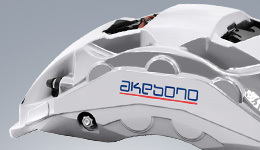 Such tours help raise visitors’ safety awareness while facilitating their understanding of Akebono and its products. Looking ahead, we will implement initiatives with companies and communities in regions around our domestic and overseas locations. Learning from and inspiring each other, we will grow in tandem with our stakeholders. 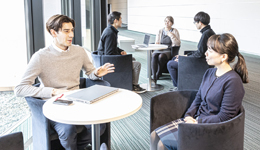 Akebono’s special subsidiary company, Akebono 123, accepts trainees from among the students at special education schools in Saitama and Gunma Prefectures in an effort to support each individual’s social and occupational independence. In fiscal 2017 four people from three schools received training for a total of 100 days. The workplace observation was attended by 98 students from two special education schools and 55 students from eight other support organizations and special subsidiary companies. It is used as a reference example for logical consideration of improvements in addition to employees’ workflow. 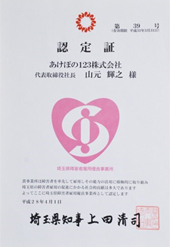 Since 2007, Akebono 123 has been continuously designated as an Excellent Employer of People with Disabilities by Saitama Prefecture. 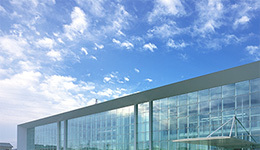 This award recognizes businesses who have proactively hired a large number of people with disabilities to promote the employment of people with disabilities and provide them with stable occupations and organization or individuals who have contributed to promoting the employment of people with disabilities and providing them with stable occupations to for many years. In September 2017, an Akebono 123 associate received an Employee Excellence Award for Persons with Disabilities from the Saitama Prefecture Employment Development Association at the 2017 Saitama Prefecture Elderly and Disabled Employee Awareness Fair. The award is presented to outstanding workers who overcome their disabilities to perform as exemplary professionals for at least five years. On the same day, an Akebono 123 associate was awarded the Chairman’s Award from the Japan Organization for Employment of the Elderly, Persons with Disabilities and Job Seekers in the Disability Employment Support Month poster design category.